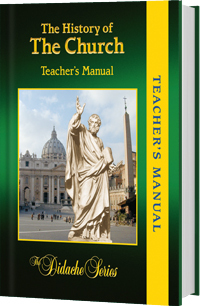 This Revised First Edition of the Teacher's Manual is designed to help the instructor actively engage students in discussions, activities, and reviews that impart the important people, events, and periods of the Church's two-millennia history. It is a companion to the textbook The History of the Church: A Complete Course. It is a complete and thorough revision of the First Edition, presented in full color.